“BUT IS HE GOOD FOR THE JEWS?” is a question asked by the Jewish community when looking at a political candidate. — “Biden is a great friend of the American Jewish community with a solid pro-Israel record. He has a strong commitment to issues important to the Jewish community including reproductive rights for women, opposition to radical right wing judicial appointees, and maintaining a strong wall between church and state”— Here. A Pro Israel Policy Regardless Of Global Repercussions. A Pro Abortion Policy Regardless Of Ethical Considerations. Keeping Christians Off Of Judicial Benches. Keeping Christians From Publicly Expressing Their Faith. — “I am a Zionist. You don’t have to be a Jew to be a Zionist. Israel is America’s greatest Middle East ally. Imagine our circumstances if were there no Israel. How many battleships would there be? How many troops would be stationed throughout the world?”— Here. 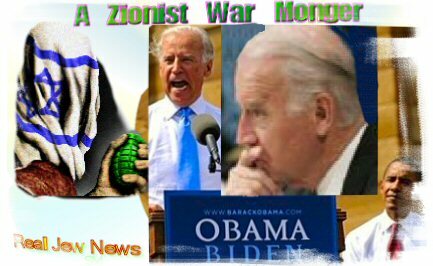 During the interview Biden also revealed that his son is married to a Jewish woman of the Berger family from Delaware and that he had participated in a Passover Seder at their house. But he isn’t Jewish, lets see who McCain picks. If Veep’s are to be a) less intelligent, b) less charismatic, and c) less able to rule, then we are in ‘deep doo-doo’ as they say, on both tickets. Where does on begin to learn about becoming Orthodox Christian? Did America have any enemies in the Middle East before Israel became a state? 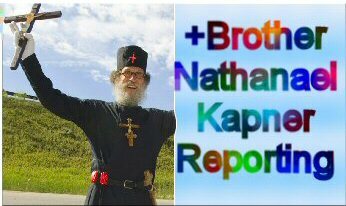 I think the first and most important thing for becoming Orthodox Christian is learn how to pray. These excellent deep spiritual Prayers were written by inspiration of the Holy Spirit by many Holy Fathers. Actually the true definition of Theologian is person who does know how to pray. Another important thing is knowing of History of Christian Church. Check out the “Search Inside.” Ware is an Oxford scholar and writes in a “reader friendly” way. He was a former Anglican who embraced Orthodoxy and is now a Bishop of the Church Of Greece. Please read : http://judicial-inc.biz/biden.htm about Biden being jewish, from Tommy. It saddens me to think, “treason” is happening right before the American public’s eye…. Everyday, we hear that Soldiers die for our right to Freedom….as said by our “puppets” of Zionism…like Bush, Cheney, Obama, McCain, Clinton, etc…. Shouldn’t I really be thanking the CIA and Mossad for creating the Mujahadine, so our Soldiers could go off to Afghanistan to die? Yay..For Freedom of the Press…. PEOPLE! BECOME INVOLVED AT THE LOCAL LEVEL!!! IT STARTS ON THE HOMEFRONT!!! I am willing to bet that there is at least a 50% chance that Joe Liberman will be the V.P. candidate for McCain. He has shown his loyalty to the zionists in his actions in congress and he is as slippery as a farm silo filled with ky jelly. He was a Democrat in congress for many years just to change to being an Independent a couple years ago, to now endorsing McCain a Republican. Yeah Greg and he is Jewish so look for McCain to go the way of Kennedy. Then they will have their Jewish king in which to declare marshal law. Yes, “I am a zionist” Biden is good for the Dem.party. If “Israel is sacrosanct” Obama is elected he will not survive the first term. Biden will appoint Charles Scheumer as VP. Biden will not survive the full term and Scheumer will be the Pres.. He will appoint Gov. David Paterson, NY as VP. There would be a possibility that Biden would appoint Hillary as his VP in some sort of back room deal with the various jewish factions. McCain will choose Lieberman as his running mate. If McCain wins he will not survive the first term. Lieberman will then choose someone weak with age/illness as VP; Arlen Specter, jewish Senator from PN would fit. In either case America will have a jew as President before the next Pres. election. Who is doing all the talking? Joe the Jew or McClown? Yes, Biden is good for the Jews. But it is the worst thing for the US and the world. Obama is nothing but Bush in black. He wears his blackened heart on the outside in his support of Georgia. I am not a racist, but it is because of people like him that people of African decent were given the ‘N’ name. Biden is just the second face of a blacker heart that lies underneath the so called ‘democrats’. They are corporate elites no different than the republicans. It is a fixed game. And yes, I am an American of at leaast 3 generations. Our government is now entirely corrupted by the corporate elite. And for what my nation has become, I would just as soon see her sunk. As we say here in the west, Russia will stick to her guns. Russia has existed longer and has far more integrity than my own nation now. And quite frankly, I hope Russia blows a whole in my own country for the corruption my country now represents. And may God have mercy on our souls here in the US for subscribing to this satanism running our country. The US involvement in Georgia today is going to backfire. Just as the Iraq war was a complete failure as I will explain below. Bush-Cheney et al are the reasons Russia and China were empowered. We invade Iraq. Gas prices go through the roof. Russia is an exporter and because oil prices quadrupled, Russia is making a fortune. In fact, Russia paid off its WWII debt recently as a result of Bush-Cheney’s Iraq war. It was that debt that our banks were using to suppress Russia. But Bush-Cheney screwed up. They are such idiots they empowered their own enemies. The same with China. I used to work at Boeing as a consultant. Boeing opened a plant in China. We outsourced the jobs. They pay half the wages but in their economy half our wages buy a fortune over there. The same with their military economy. It cost us $100 million to make one fighter. But in China, the same fighter cost them $1 million. And so, while China has smaller military spending, it goes farthur in building more planes. Neocons or so pround to say we have double the entires worlds military spending. Yeah. Right? But it only buys a tenth as much in our corrupted economic system. This is true of every country the US has outsourced our jobs too. We are empowering those nations to be greater than us economically and militarily. And that is no where more apparent than China’s and Russia’s economic successes since the corrupt black hearted elite here in the US started outsourcing our jobs. What goes around comes around you bastards. It is not just the workers that have suffereed. The whole nation has suffered. The US is now in decline. And rather than admit their faults, they will start a war with Russia. And THAT is where we are right now. A satanic corruption in the elite of the US that will destroy all of God’s creation. Biden is a crypto Jew, like LBJ, was Kennedy VP and Crypto Sephardic Jew. Hint,Biden voted in Iraq first election. He is from a family of arab Jews and is married to a Jew, Jill Jacobson. Nancy Pelosi is from a Marrano Jewish family that came from Argentina to the USA. Her kids all married Jews and they speak Hebrew to her. Dear Sean - Jill Jacobs is her name and she is of Lebanese extraction - she is not a Jew. LBJ was NOT a Jew. And it doesn’t hurt that one of Biden’s son married in to The Tribe. To the Admin, thanks for this great website but a small possible amendment, Jill Jacobs perhaps may not be of Lebanese origin neither does she appear to look like a Lebanese. But I dont think she is jewish either. Biden’s son is a lobbyist. They are robbing this country broke. Spending double what they should, just to set up the giving away of America dirt cheap to people who already get to print money out of thin air then get paid back in real wealth plus interest. Can’t you see this, you blind fools? “Some call it Marxism [Communism], I call it JUDAISM” (!!!) ~ Rabbi Stephen Wise, The American Bulletin, May 5, 1935. “Wherever it [Judaism/Communism] worked it strove, as in past times, to destroy… Christianity. Where it could not openly attack, it endeavored to undermine and weaken the structure….In short, no panacea had ever healed the Jewish aversion (hatred) of Christianity…..” ~ (Philip II, William Thomas Walsh, pp. 90- 91). Is Joe Biden a Jew ? I saw him on CNN talking to an audience while wearing one of those Jew beanies. I didn’t know he was a Jew. I remember that some Rabbis served George Bush a plate of broken glass, just before the start of the worst depression since 1929. It is curious. I cannot find a single reference to that event anywhere on the Internet. Talk about a memory hole?